Not many bands have risen to prominence in recent times quite as quickly as Greta Van Fleet, consisting of vocalist Josh Kiszka, guitarist Jake Kiszka, bassist Sam Kiszka and drummer Danny Wagner. With groovy, barebones instrumentation and stellarly classic-flavored vocals, the band calls back to true-blue classic rock n’ roll with their sound, earning themselves many a comparison to bands like Led Zeppelin among other rock staples. 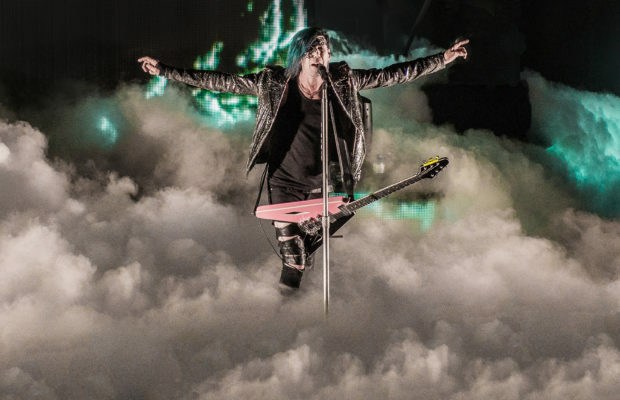 With their debut full-length album “Anthem of the Peaceful Army” (yes, they are being compared to Zeppelin and this is their debut album), the band is setting out to establish themselves as a household name in rock n’ roll circles everywhere. The album begins with “Age of Man”, an enchanting, almost-symphonic ballad that takes listeners on a journey that makes its length of just over 6 minutes feel like 2. Josh Kiszka’s vocals soar with graceful power, supported by an instrumentation that takes listeners on an emotional prog rock-influenced rush (pun intended) that will reel in listeners of any rock fanhood. 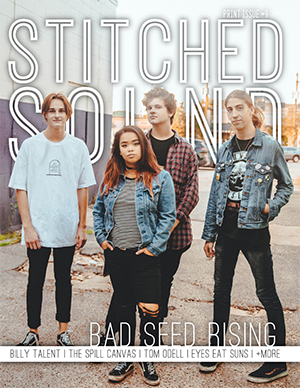 Following tracks “The Cold Wind” and “When the Curtain Falls” both offer blazing bluesy guitars, basslines as tough as bedrock and charismatic, throat-bending vocals that will get crowds dancing and listeners’ heads bobbing by the multitudes. “Watching Over” is a slower jam dripping with groove, boasting guitar distortion flavored by sounds of ancient Egyptian music. “You’re The One” dials back the intensity instrumentally, a good old-fashioned love song that Josh’s vocals particularly shine on, offering up an emotional track alongside his bandmates that is sure to conjure up good memories of love to reminisce no matter how much life one has lived. Some other noteworthy parts on the record include the just over 6 minutes “Lover, Leaver (Taker, Believer)”, another listening journey akin to the album’s opening on which each member shines in a phenomenal way, coming together to form an enthralling halfway mark of the album. “Mountain of the Sun” features a driving guitar riff not unlike something the father of rock Chuck Berry would’ve written, and the progressive rock influence continues to be extremely palpable with the ethereal journey “Brave New World”. The record reaches a minimalistically impactful conclusion with a message of love and agreeing to disagree behind “Anthem”, an acoustic-driven track conjuring up images of fond fireplace gatherings that gives the record a fulfilling ending. 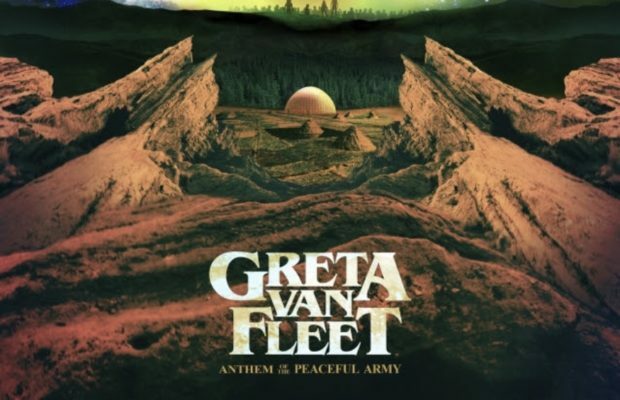 With “Anthem of the Peaceful Army”, Greta Van Fleet have created a fantastic record to add to one’s fall/winter collection, paying homage to classic rock styles of all kinds as they use them to create their own brand of sound. With how quickly the band is cementing themselves as the torchbearers of the genre, one would be wise to jump onto Greta Van Fleet’s train now; as it’s showing no signs of stopping any time soon.